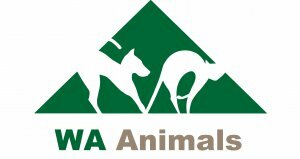 WA Animals (Western Australian Animals Incorporated) is a non-profit community organisation dedicated to animal welfare and environmental conservation. It was founded in 2018 by experienced pet and wildlife rescue volunteers to run adoption, conservation and education programs. Our adoption programs are run for cats, dogs, birds, rabbits and reptiles. Debate and planning is also important. Therefore, we lobby all levels of government to take action to protect animals and the environment. This includes encouraging and enforcing responsible pet ownership. We also deliver education and outreach programs to school students and the community. This raises awareness and promotes environmental stewardship and protection of animals. Finally, WA Animals aim to become a platform and professional support network for the many other shelters and foster-based rescues and wildlife carers in Western Australia. We believe the problems facing animals and the environment require a multi-faceted, long-term approach driven by multiple stakeholders. For example, band-aid solutions won’t fully stop cat overpopulation or environmental destruction. This is why we offer several programs. Do you have other suggestions for how we can help? We’d love to hear from you! Recognises that many values and opinions exist with regards to animal welfare and environmental conservation. Seeks to understand and respect differences, and work together to effect positive change. Values positive engagement with the community. When we deal with any human or animal, we strive to do so with kindness and respect, no matter the circumstances. Believes that education and outreach is key when it comes to changing behaviours and beliefs to help animals. Believes that owners owe a lifelong responsibility to their pets. However, we understand that there are times when rehoming a pet may be the most responsible course of action. Recognises the potential detrimental impact of feral and roaming cats, dogs, and rabbits, on the environment and neighbourhood. Respects the mission and work of reputable registered breeders who adhere to the best practice of their respective industry bodies. Respects the mission, work, and business decisions of compassionate pet stores. We believe charities and businesses can work together to achieve positive outcomes for animals. Values veterinary clinics, and respect the business decisions of compassionate clinics. Will not euthanize an animal in our care, unless it would be cruel, dangerous, or irresponsible not to do so. Supports the concept of “TNRM” (Trap-Neuter-Release-Manage) cat programs. We believe criteria should be met to ensure responsible long-term care of cats and low risk of negative externalities. Supports our peers in the sector, and where possible share our resources with them. Respects the autonomy and diversity of our volunteers, and value their varied contributions. Believes that a multi-faceted approach is appropriate in animal welfare and environmental conservation.